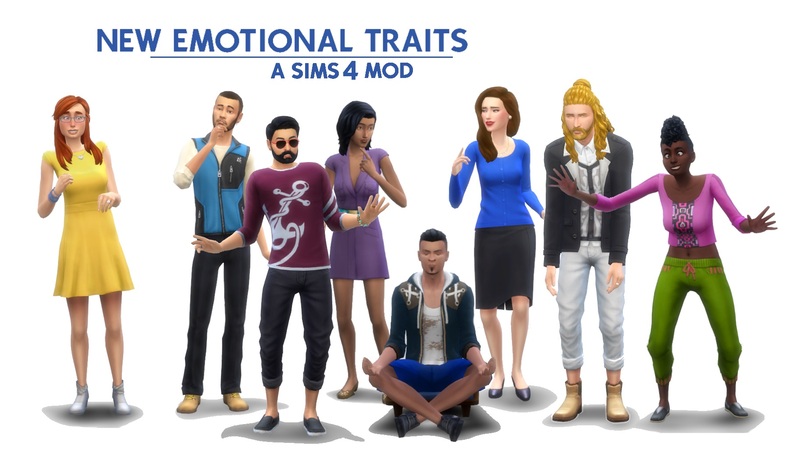 This trait pack adds a set of nine new emotional traits which fill out the roster with traits associated with moods like Embarrassed and extreme versions of the old traits with some drawbacks. 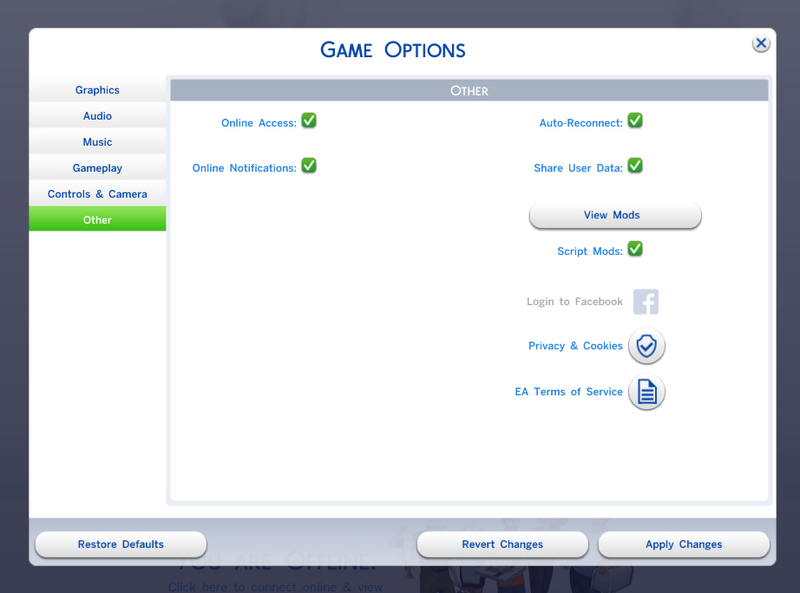 All of them are available for children and older, and add boosts to Character Values from Parenthood. 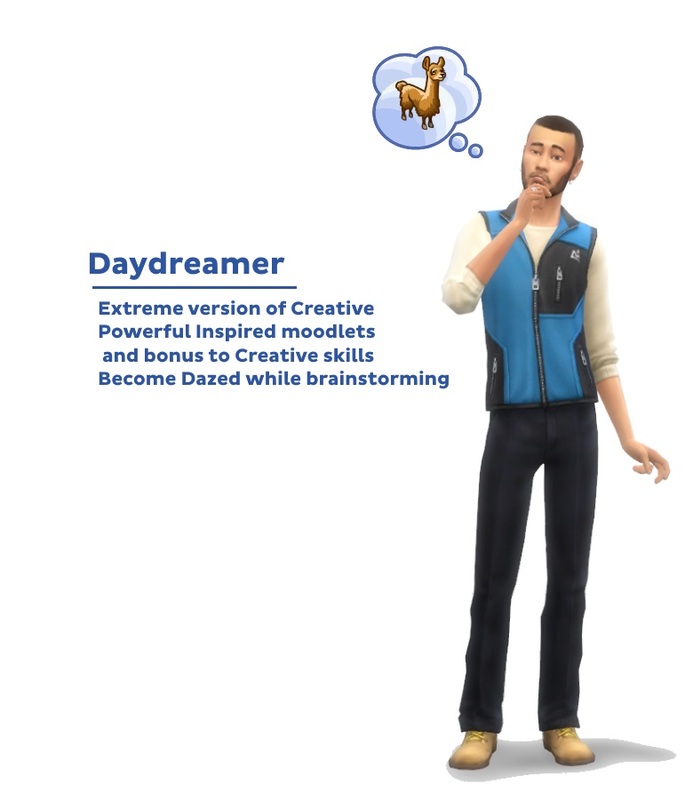 No custom whim sets were added to these traits. This is my first mod ever, so any bug reports and gameplay feedback are more than welcome! Occasionally boosts the Fine emotion, removing much of the risk and reward of changing emotions. Occasionally boosts the Embarrassed emotion, and causes stress around new people and when doing public performances. Making friends can be difficult but very rewarding for these Sims! Occasionally boosts the Dazed emotion, and has trouble gaining skills. 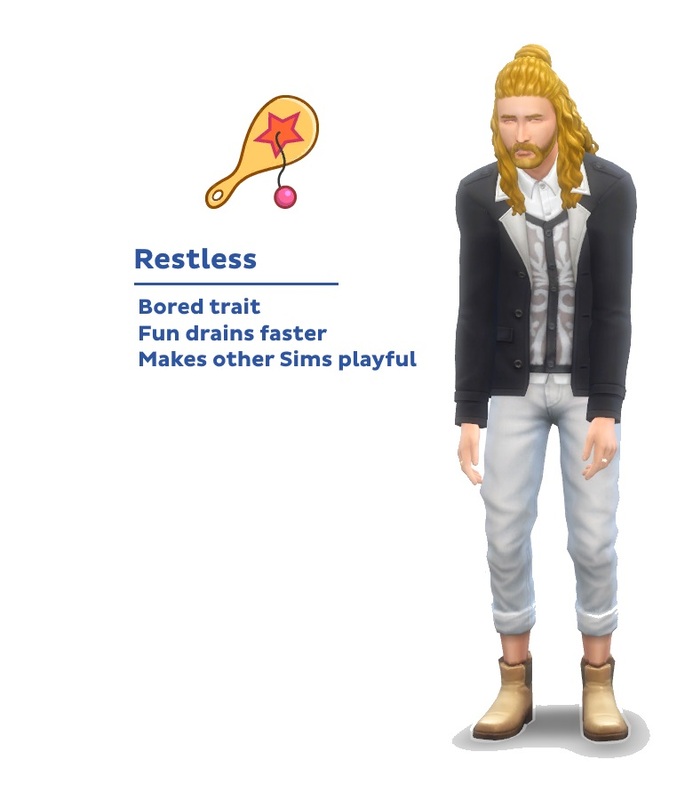 Occasionally boosts the Bored emotion, and requires more fun than other Sims. Can be the life of the party if they get going, though. 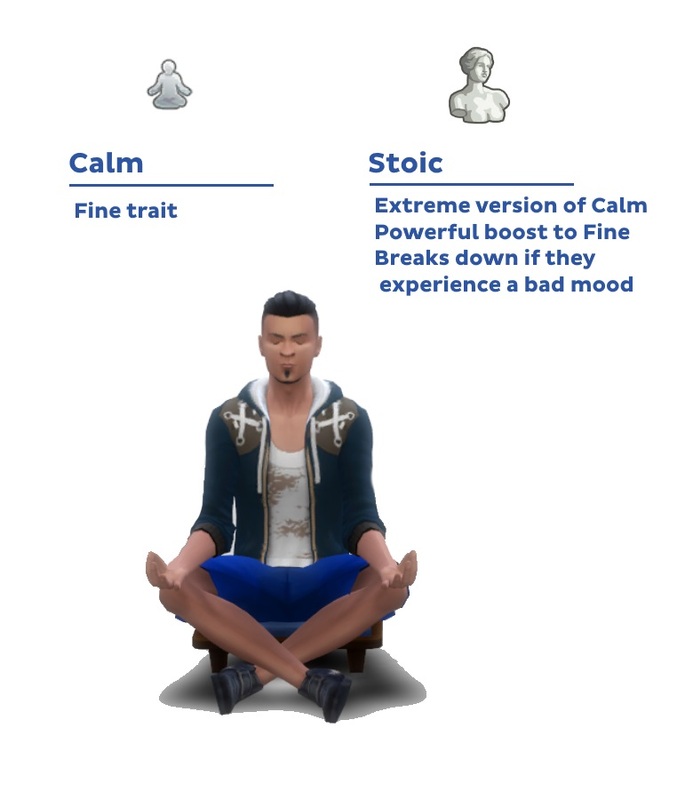 Extreme version of Calm, perpetual bonus to Fine unless something causes them to experience a negative emotion. 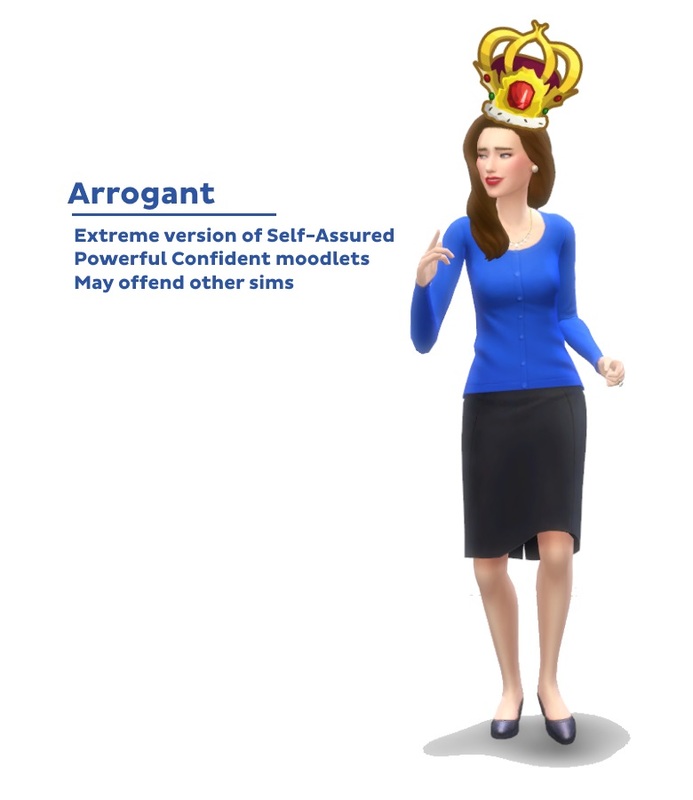 Extreme version of Self-Assured, very Confident but may rub other Sims the wrong way. 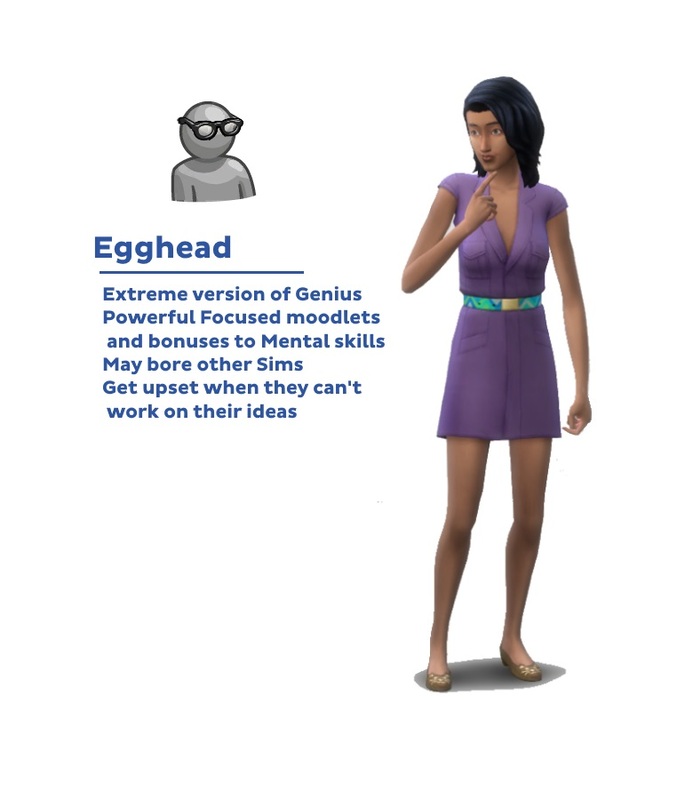 These Sims also get a small bonus to the Business, Politics, and Criminal careers. Extreme version of Creative, very Inspired but may have trouble concentrating. Once they’ve organized their mind, they have powerful boosts to Creative skills. 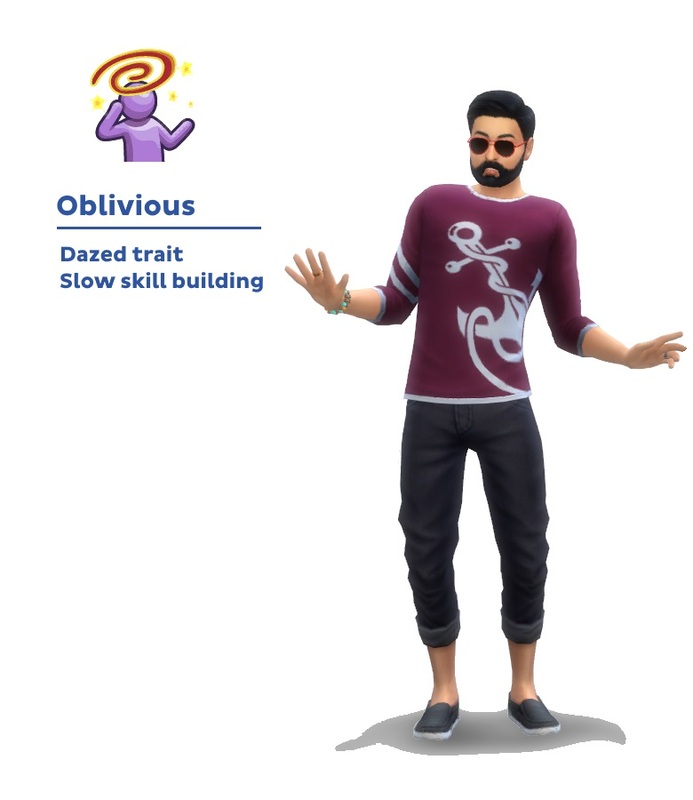 Extreme version of Cheerful, very Happy but can creep out most other Sims. Extreme version of Genius, very Focused but have a one-track mind. If you strike while the iron is hot, they can earn powerful boosts to Mental skills. 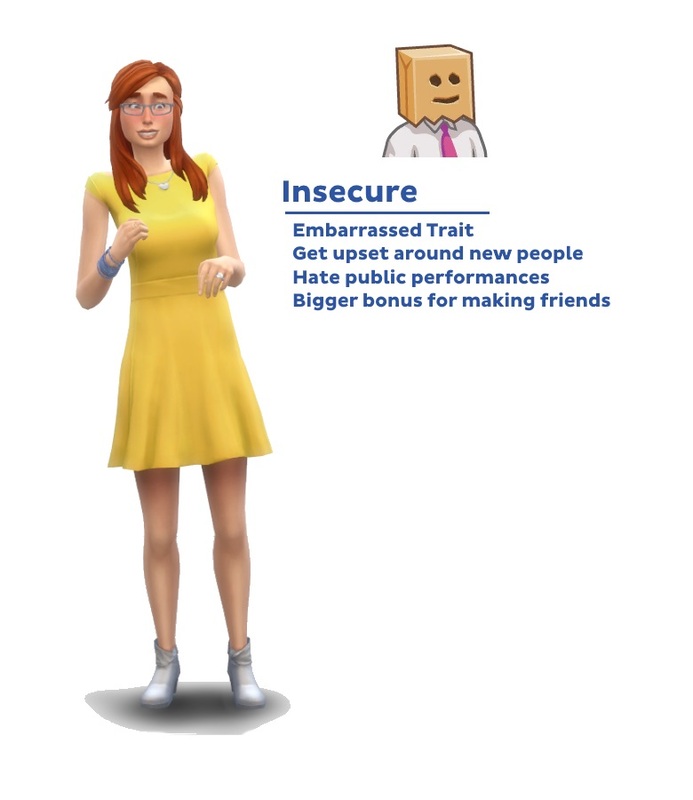 Only use one version of this trait pack. It is highly recommended that you use the Merged version as that will include trait conflicts to avoid strange behavior, but if you only want a few traits or you need to avoid XML conflicts with another mod, then use the Separate version and install each package individually. As far as gameplay is concerned, only the base game should be required. 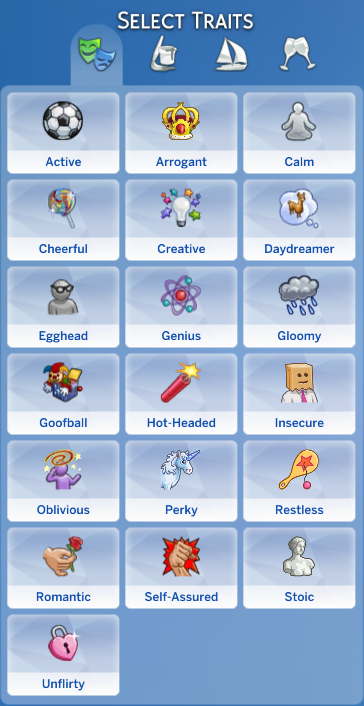 Cosmetically, several moodlets use icons from expansion and game packs, and missing these packs may cause moodlets to appear blank. Andrew's Pose Player and KawaiiStacie's Slice of Life mod were used to create the banner.